Judgment is how architecture gets from A to B: how architecture is produced by architects and cultures, how it is received by critics and publics, and how it extends histories and forms futures. This book illuminates a set of exchanges among architects, critics, and art historians including Sarah Whiting, Hal Foster, Neil Denari, Ben van Berkel, Markus Miessen, Jeffrey Kipnis, Sylvia Lavin, R.E. Somol, and Brett Steele. 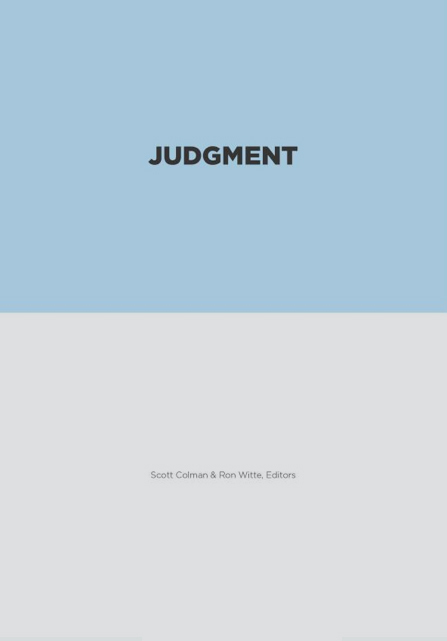 First and foremost, Judgment is a conversation about architecture's partisanships; the indispensable and biased engagements that catalyze architecture's progress.